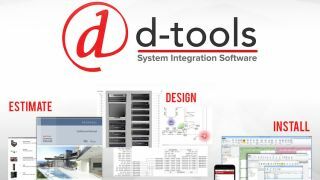 D-Tools will demonstrate the latest enhancements to its estimation, system design, and project management software platform—System Integrator (SI)—in booth 1-N85 during ISE, taking place February 6–9, 2018 in Amsterdam. D-Tools will demo its new Mobile Quote 2.0 iPad companion app, which is designed to help ndustry salespeople generate a project scope and pricing estimate for client review and approval during the initial client meeting. In addition, D-Tools will demo the new Customer Portal, which enables D-Tools users to publish project documents to the web for client comment, acceptance, and e-signature approval, from any internet-enabled device. D-Tools will also provide insight on tools and ideas that help attendees streamline operations, automate business processes, and grow profitably. Built on the D-Tools Cloud infrastructure, the new Customer Portal is designed to facilitate collaboration and increase client engagement, even across time zones and mobile platforms. Users can share proposals, contracts, change orders, drawings, cut sheets, user manuals, and other client-facing documents via the web. To review, comment, and accept (or reject) the documents presented, clients simply click on the emailed link and login to a secure web portal. This new web-enabled, device-agnostic capability expedites client communication and approvals, to keep projects moving forward and ensure that timelines and budgets are met. Redesigned for a more intuitive, and effective experience, D-Tools’ Mobile Quote 2.0 is a native iPad app that enables salespeople to walk prospective clients through available technology options while generating a scope and budget for customer approval. The data collected is instantaneously transferred into D-Tools SI for further design development and project management. Leveraging D-Tools’ extensive product library and workflow concepts such as the specification of devices by location and system, Mobile Quote 2.0 allows salespeople to obtain signed approval of a project scope and budget, and even collect a design retainer, in the very first client meeting.